Shop online for 46 magnifiers at discounts up to 55%. 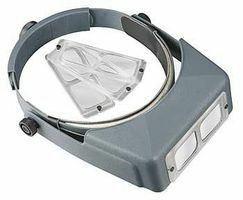 Donegan Optical Company is ranked #1 out of 9 magnifiers manufacturers, followed by Magnifiers, and Excel Hobby Blades. This is the OptiVISOR LX-7 Optical Acrylic Lens Binocular Magnifier by Donegan Optical Company. 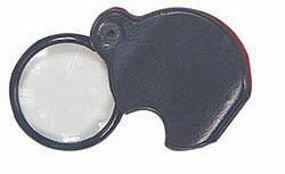 This is the Helping Hand Magnifier from Latina. Suitable for Ages 14 & Up. 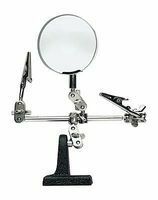 This is a Double Clip Extra Hands with Magnifier from Excel. 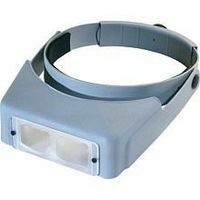 OptiVisor is a Precision Optical Glass Binocular Headband Magnifier with Lens Plate #3 from Donegan Optical Company. Hands free light! Mount this to your Donegan visor. 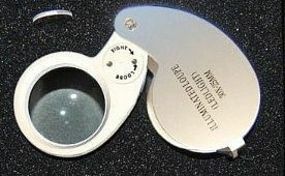 This is the #10 Lens Plate for the Donegan Optivisor. OptiVisor is a precision binocular headband magnifier which permits unrestricted user efficiency while reducing eye strain - leaves both hands free and allows three dimensional vision - Used by anyone whose profession or craft requires close accurate work - Can be worn over prescription or safety eyeglasses. 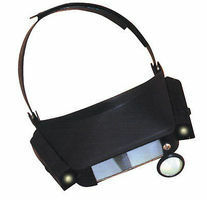 This is the Flex-A-Mag Magnifier By Donegan Optical Company. 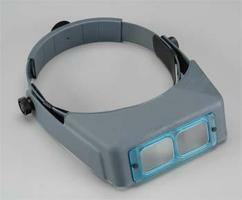 This Is the OptiVISOR LX-3 Optical Acrylic Lens Binocular Magnifier by Donegan Optical Company.